As a veteran actor, Liz has created her alter ego: Granny Kate. Granny Kate knows the importance of reading in a child's life. 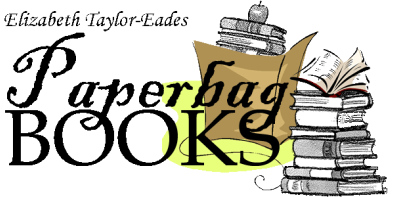 Whether reading to a class, or helping a child learn to read has been a rewarding part of Mrs. Eades' life. Active in community theater for well over 40 years, she learned her craft from the bottom up by participating in back-up choruses, costuming, lighting, makeup, props, directing and producing. Liz has performed major roles in both New York State and South Carolina in such shows as Cabaret, Once Upon A Mattress, Bye Bye Birdie, Music Man, Arsenic and Old Lace, Carnival, Annie, My Fair Lady, Sound of Music, Oklahoma, Little Shop of Horrors, Smoke on the Mountain, Steel Magnolias, and numerous variety shows, dinner theater and reader’s theater productions. 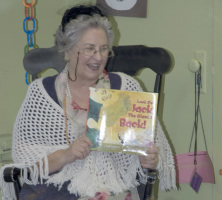 Granny Kate reads to children at both pre-school and elementary levels. If you want Granny Kate to read to your children, please complete the message form below. Thanks!